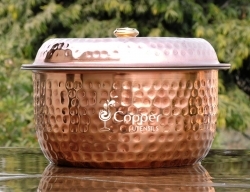 New to Copper Utensil ? We are waiting to hear your opinon. Buy some products and to start writing reviews. 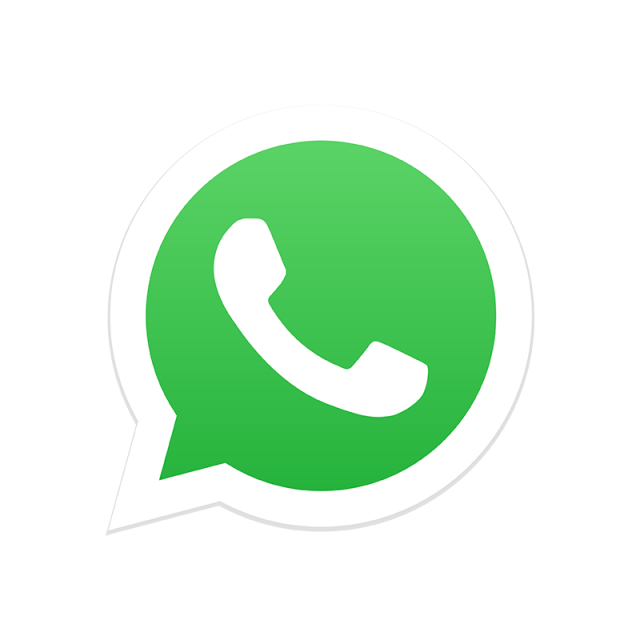 Enter your registered email below and we will send your password to this email address. 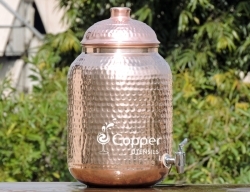 Made from pure copper and stainless steel. 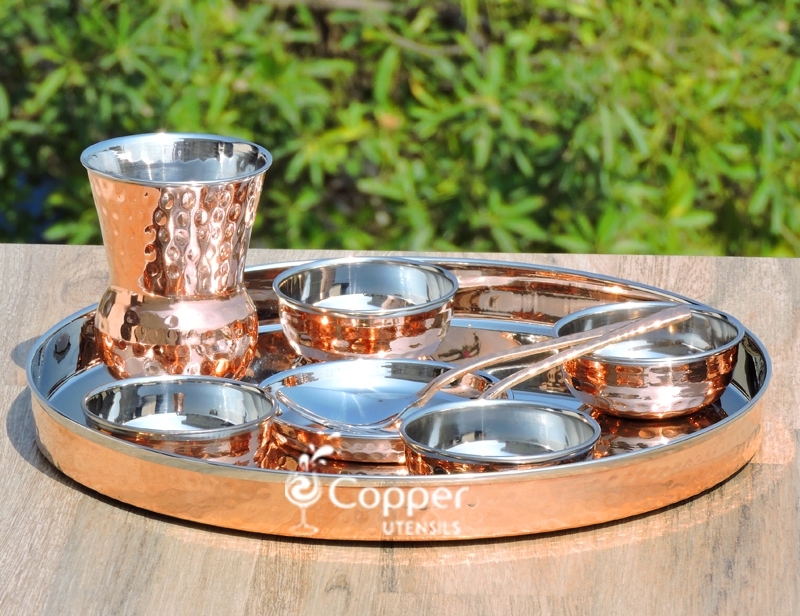 The set consists of 1 thali, 4 assorted bowls, 1 dessert bowl, 1 dholak tumbler, 1 spoon and 1 fork. 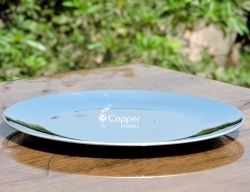 Suitable for serving a proper Indian meal. Note - The actual product does not carry any sticker or logo. 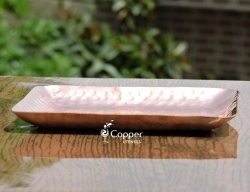 It is just a watermark showed in picture. 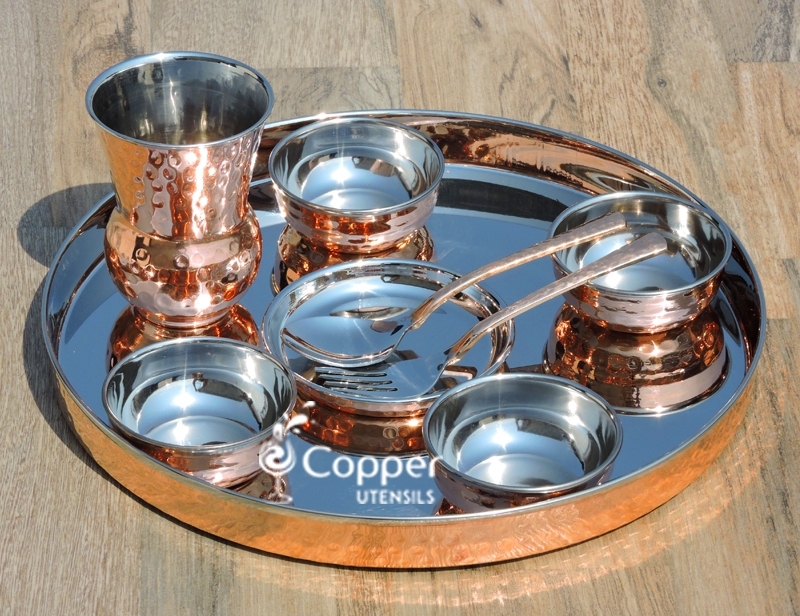 Our hand hammered copper thali with assorted accessories is the perfect option when you are looking forward to serving a proper Indian meal to your guests. 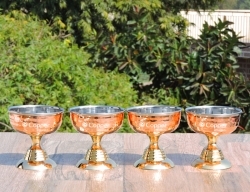 The hand-hammered material gives a vintage look and feelÂ to the set. 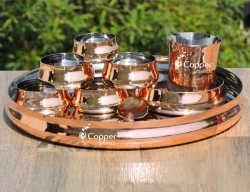 In the set, you get a big thali (plate) along with 5 assorted bowls which can be used for serving curries, gravies, desserts, etc. 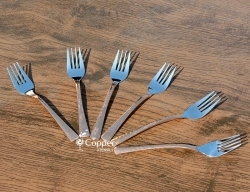 You also get a matching tumbler and a fork and spoon in the set. 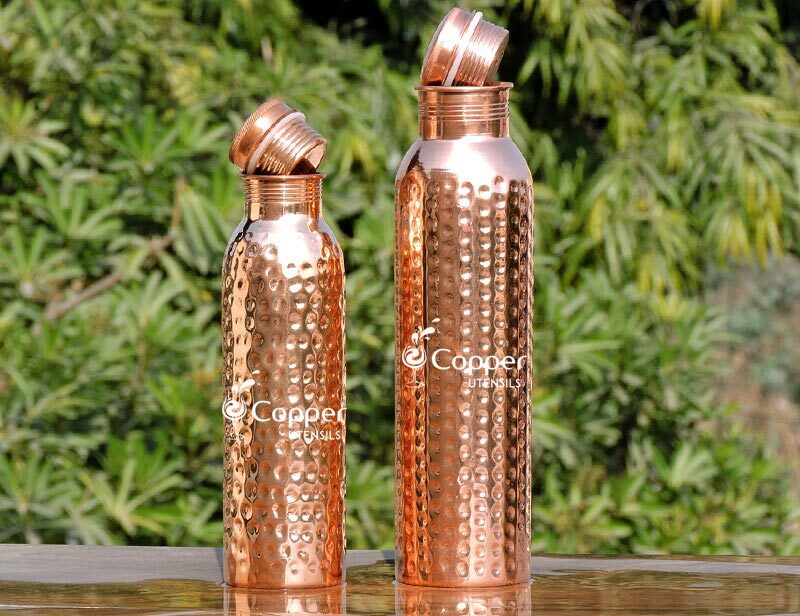 Great product, worth to buy.. 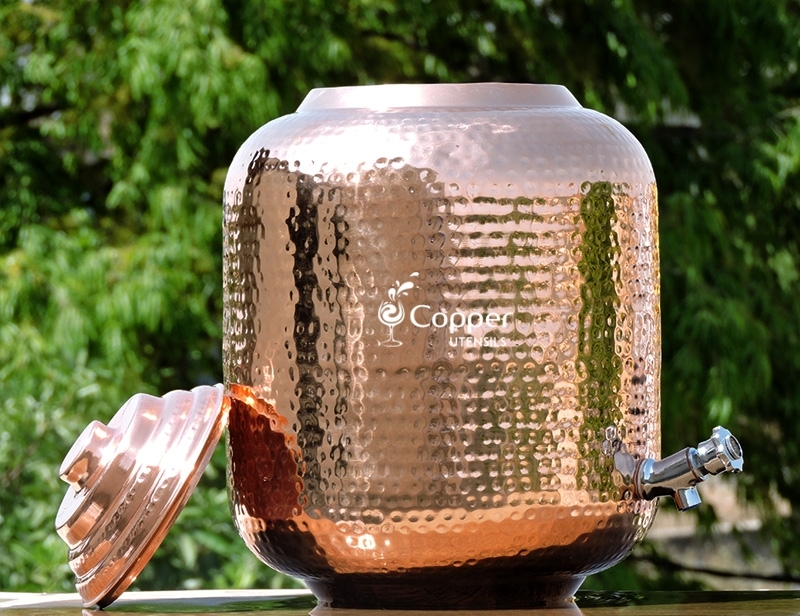 Taking care of your copperware is much easier than you may have imagined. 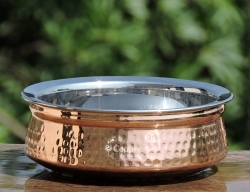 With copperware, a little care goes a long way. Here is how you can do it. 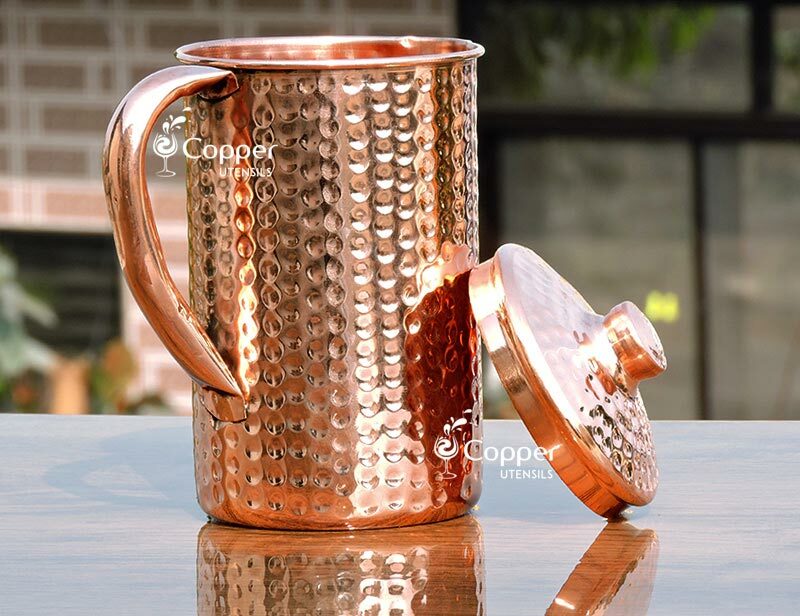 All our copperware is made from pure copper and thus is meant to tarnish within a day or two after the usage. It is completely normal and has nothing to do with the quality of the product. 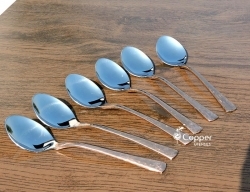 It is crucial to clean the product regularly in order to maintain its shine. 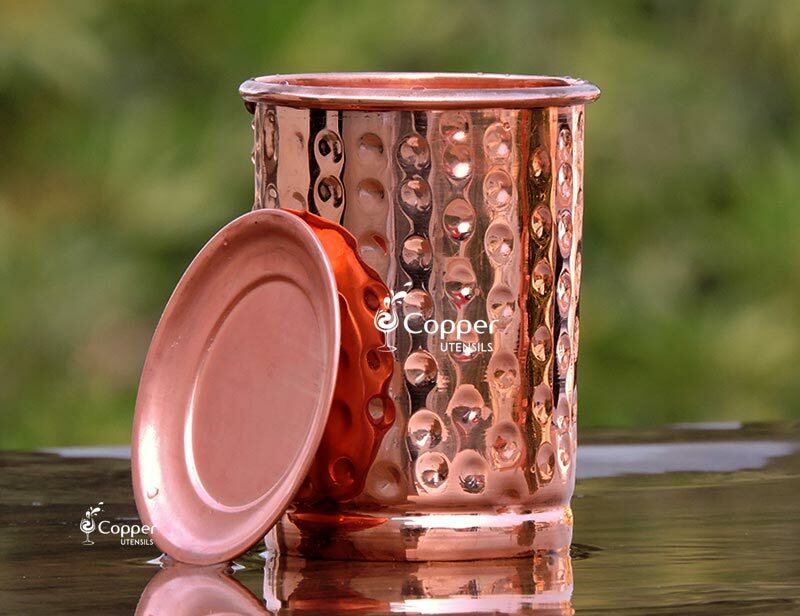 You can use an industrial product such as Pitambari used specifically for cleaning copper utensils. If you live in India you can easily get it and if you don't you can use any of the below-mentioned recipes. A mixture of table salt and fresh lemon juice (you can also use white vinegar instead of lemon). Rub this mixture onto the surface until clean. Wash with plain water and wipe off the excess water immediately with a cotton cloth. You can also use tamarind paste instead. Soak up some tamarind in warm water. 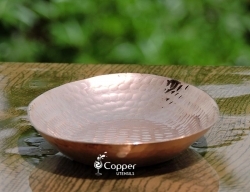 Once it is soft, use the pulp to rub the surface of your copperware. Wash with water and wipe off the excess water with a cotton cloth. 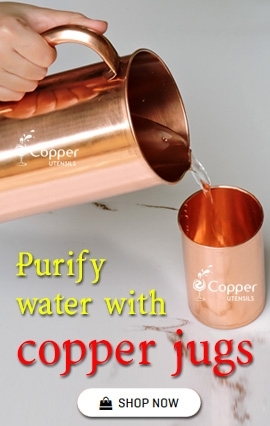 Always wipe off the excess water with a cotton cloth after rinsing your copperware. 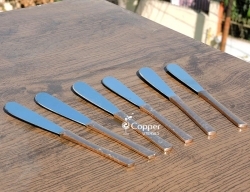 If you fail to do so water marks will form on the utensil which is hard to get rid of later. 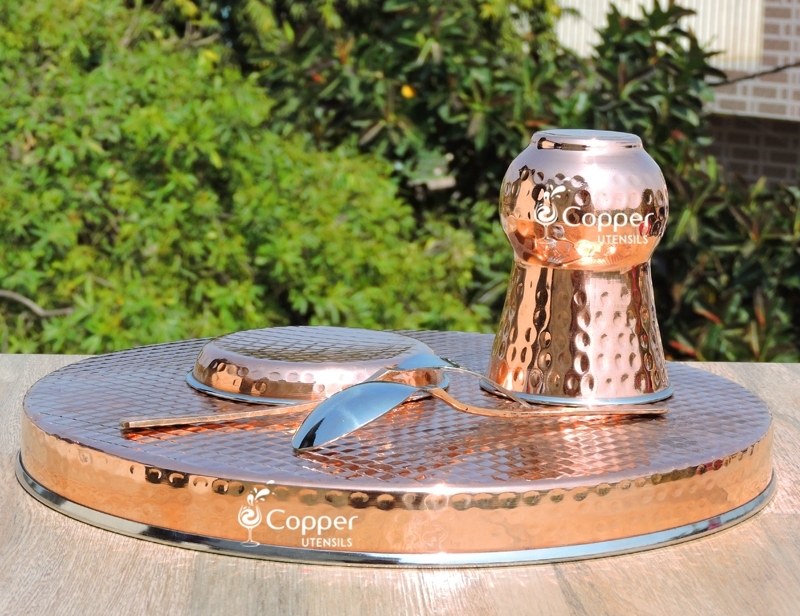 Try not to rub your copperware with an abrasive scrubber as it may leave behind scratches. 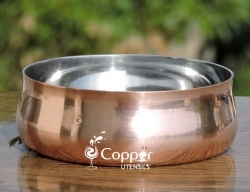 Always use a cotton cloth to rub the surface of your copperware. 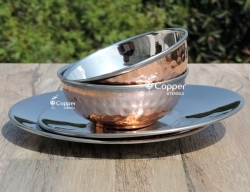 Follow the steps as mentioned above to maintain the shine of your copperware and keep them new forever. 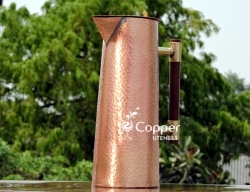 Copper Utensil is our endeavor to bring the grandeur of copper ware right to your door steps. 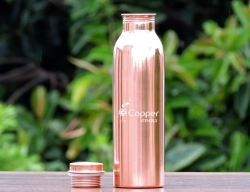 We provide excellent forged and finished products of Copper. 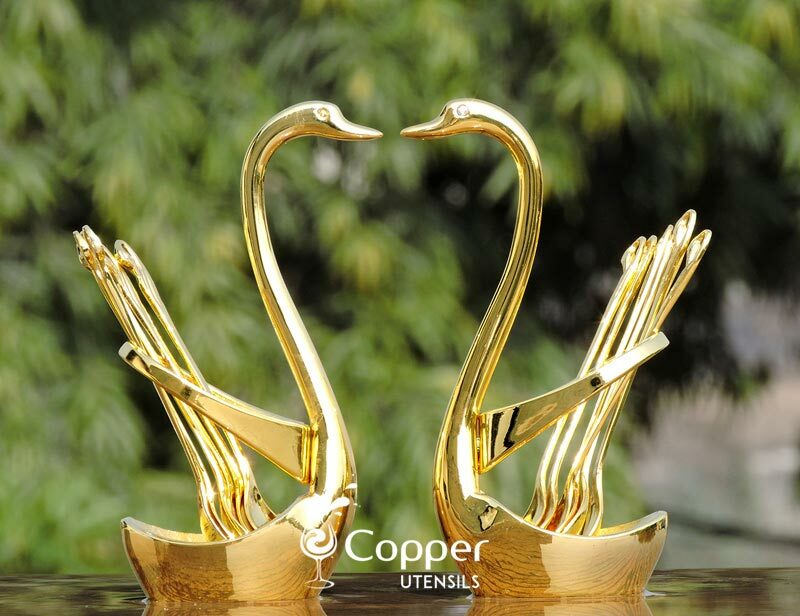 These include decorative items and products that can be used in home or hotel.